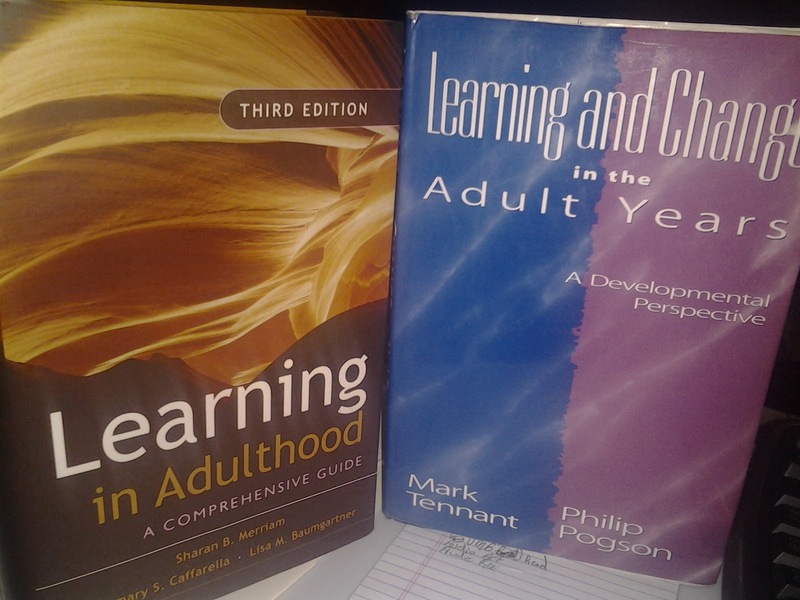 Learning and Change in the Adult Years: A Developmental Perspective by Mark Tennant & Philip Pogson. Learning in Adulthood: A Comprehensive Guide, 3rd Edition by Sharan B. Merriam, Rosemary S. Caffarella, and Lisa M. Baumgartner. 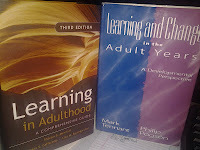 My overall problem thus far is that there so very little that defines the adult learner in a wholistic way. The readings largely talk about a path to becoming the adult learner but it doesn't seem like that's a universal for every adult learner. That is one has to wonder how many "adult learners" actually become adult learners at that high level. It's hard to tell in part because we're not even sure how many adult learners there are and how they learn (if at all) differently from youth (more on that when I talk about LIA). It seems within LCAY there's an attempt at balance that doesn't quite fit. They're trying to depict the adult learner while at the same time throwing out disclaimers or ignore that the attributes given to an adult learner are not mutually exclusive to young learners. They discuss often the fact that context matters or augments the learning process. This makes sense--it seems the longer we are emersed in culture, the more social/cultural context will influence than biology. However, if that is the case, than what you can say or make of an adult learner are highly limited and seem to be rendered meaningless. In chapter 2, on "Intellectual and Cognitive Development in the Adult Years," shows in a rather scary manner, a series of charts on intelligent tests that indicate our intellectual capacities drop off in the 1960s. Here is one of those places I find fault with. Granted, I'm not 60+ or close by any means, but it seems to me the current research on the the elderly, learning, and neuroscience hint that even intellectual decline can be largely impacted by a change of frame. 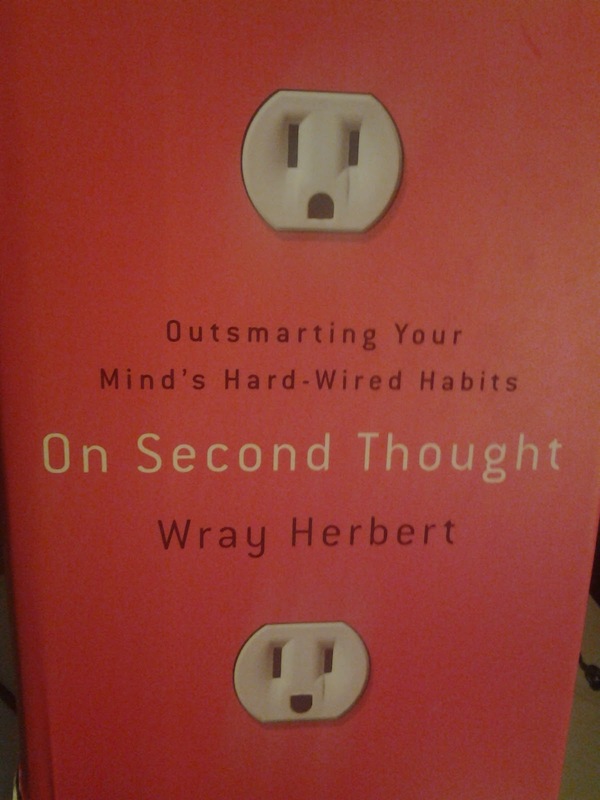 In Wray Herbert's On Second Thought: Outsmarting Your Mind's Hard-Wirded Habits, the author shows research that suggest pervading stereotypes of the elderly actually influence how we conceive of ourselves as we get older (that good old labelling effect writ-large without own lives). Thus, there is a serious consideration of how accurate is the research if so much of it is negatively impacted by such a cultural meme. Inevitably, I'm sure there's an intellectual decline at some point, but I have to wonder what that would look like without the actual mindset that we have about the elderly. 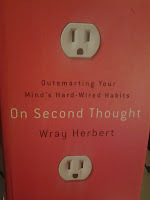 In Chapter 8, the authors justify a more participatory approach to education with adults over children. "Because teachers and learners are adult peers, there is a widely held view that the relationship between teachers and adult learners should be participative and democratic and characterized by openness, mutual respect, and equality. To be sure, a relationship like this is desirable in all levels of education, but the political and social position of children presents a constraint that is not apparent in the adult context. Adults who are learners in one context, may become teachers in another." (Pg 171). I don't buy this. While it's clear the authors are referring to formalized teaching when they talk about adult learners being teachers, I think it negates the fact that so much teaching and learning takes place between children. And it uses that faux difference to say there is a priority for using participatory approaches for adults. I think I'll pause for now. I think I'll need another post's worth to cover LIA.